Rezgo is specifically designed for businesses who provide in-destination tours, activities, and attractions. Rezgo is well suited to tours including guided, walking, sightseeing, kayak, etc. Rezgo is a leading tour operator software for businesses who offer scheduled or guaranteed departure daily tours, activities, events, and attractions. If you are using pen and paper or an outdated reservation platform, you may be missing out on revenue from customers who want to book with you online. Rezgo provides you with a beautiful web booking engine, support for bookings on mobile devices, point of sale bookings, the most powerful availability and pricing rules engine, and much more. 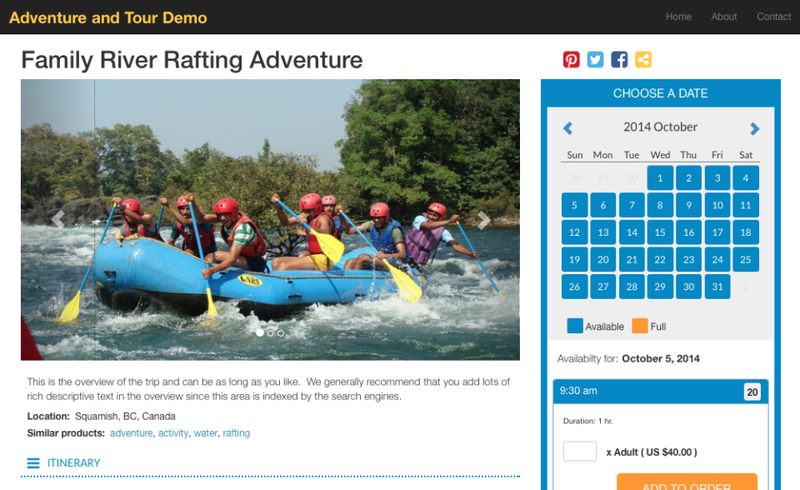 Tour & Activity Booking System Reviews Recently Reviewed! Comments: It's always frightening when a software provider lets you know they a releasing a new update but Rezgo gave us over 9 months to prepare for the changes that were coming. I had 11 different clients to look after in the new update so the 3 months in Rezgo Beta was great to get everything in order for the launch date. We had a few issues in a beta and when the accounts went live but the sales and support team at Rezgo were worth the 5 stars I gave them on this review. Every issue we had was taken care of in less than 12 hours and we got all of our client accounts up to date. 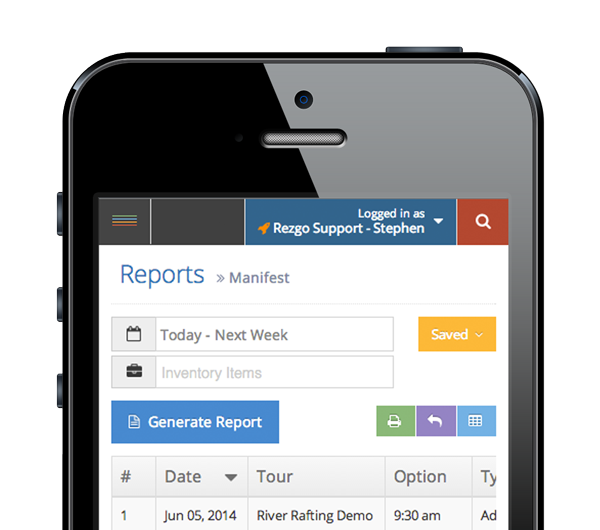 The new Rezgo 6 is full of great new features and a pleasure to use and manage. My IT staff love it and we have generated over 125,000.00 EUR/141,437 USD in sales since Rezgo 6 has launched. I have tested out a lot of other booking solutions and Rezgo has come out on top each time. The proof is in my sales. I have used Rezgo for over 3 years now. The clients I have that use Rezgo as their booking solution are happy and always give me great feedback so that's why it gets 5 stars. Kind Regards, A very happy MD Liam Sinnott Vivit Ireland. Cons: The reporting features in Rezgo are a fantastic resource. You can generate booking, revenue, manifest and transaction reports to research and study who, what and where your customers are. However I would love to see this information maybe displayed in graphs or tables on a dashboard. I had to export all my bookings in excel sheets and then convert the stats into graphs using Microsoft Office. The information I got from these reports were priceless so it would be fantastic to have this on a dashboard in Rezgo. How about it Rezgo? Thanks for the kind words Liam. We'll certainly do our best to keep improving the system. I'll pass your suggestions to the dev team for review and possible inclusion in a future release. If there is anything else we can do for you, just let us know. Comments: The new Rezgo 6 is full of great new features and a pleasure to use and manage. My IT staff love it and we have generated over 125,000.00 EUR/141,437 USD in sales since Rezgo 6 has launched. I have tested out many other booking solutions and Rezgo has come out on top each time. The proof is in my sales. I have used Rezgo for over 3 years now. The clients I have that use Rezgo as their booking solution are happy and always give me great feedback so that is why it gets 5 stars. After using the Rezgo software for tours and activities in a Christmas festival I have found my favorite feature in the software. This is the "Move Item/Date" button. This feature saved me thousands of Euro in cancellations and possible charge backs from our bank merchants. I had forecast a possible 3% cancellation/Charge-back percentage but now 2 months after the end of the festival and having the ability to reschedule just over 800 of my customers bookings I was able to decrease that percentage to 0.6% in cancellations. Cancellations, refunds and charge backs can be an expensive game in tours and activities. Having a software company that understands this and has features to protect my company is priceless. 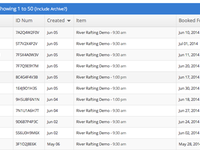 The reporting features in Rezgo are a fantastic resource. You can generate booking, revenue, manifest and transaction reports to research and study who, what and where your customers are and how they are booking your tours. However, I would love to see this information may be displayed in graphs or tables on a dashboard. I had to export all my bookings in excel sheets and then convert the stats into graphs using Microsoft Office. The information I got from these reports were priceless so it would be fantastic to have this on a dashboard in Rezgo. Thank you for the kind words and the fantastic feedback. We're always looking for feedback on features that would be valuable for you and the other Rezgo users. I'll pass your recommendations on to the dev team for review. Hopefully we can add some of these in. Definitely not for the big leagues. Comments: This software is ok if you are a small business, but if you are planning on expanding in any way I don't recommend it. They recently changed over to a new platform and have been emailing us loads of emails saying a change is coming and that "there is nothing you need to specifically do". Then I wake up on Oct 1st and all the images on my website are down for a full day and we are not a small tour company. I asked them to pay the invoice to my programmers to fix the issues, 2 hours, and they said they wouldn't. I spoke to a rep there who said "You should have been responsible for these changes." I told him if he had alerted me properly I would have. They didn't really seem like they want additional business nor want to please their customers. Beyond that interface is subpar. There are much better Outsourced CRMs out there. Customization is very difficult and will cost you loads with your web designers. Their interface is tricky and filters don't allow you to easily track promo codes. It is also very difficult if you run a tour at varying times per day. Very easy to make mistakes and loose track of customers. If you are a small tour company maybe, but if you are planning to get larger I would look else where. Since you posted the same review on Capterra, I'll respond in a similar manner. I'm sorry that you were not satisfied with your customer service experience. We try very hard to provide the best possible customer support we can, but occasionally we fall short and when that happens, we take responsibility for our actions. That said, we expect that Rezgo members also take responsibility for their actions. These responsibilities are clearly stated in the Terms of Service that all Rezgo members, including yourself, agree to when they sign up and use the service. Your complaint regarding not being provided with adequate notice about the update is unfounded. We provided ample notice (over 9 months) of upcoming updates as well a generous 3 month beta period during which time you had ample time to become familiar with the new features and administrative updates and front-end changes. We posted these notices via email, on the website, our Facebook page, and on Twitter. We even recommended that you update your images in a blog post when the beta was released in July and again two weeks before the release was made. When you chose to call to complain about not being provided with ample notice and then insisted that we pay for your web developer to update the images, the support team provided you with the correct answer. Part of your responsibility as a Rezgo member is to maintain your content. You'll notice in the terms of service that we take responsibility for the technology and in exchange, you take responsibility for your content. Rezgo does not and never will manage your content for you. This is not something we have ever offered. When our support team transferred your call to someone who could properly address your request for reimbursement, but was unfortunately not able to answer your call, you called back and yelled at our support team. When our team was unable to satisfy your request on the phone, you chose to write negative reviews on these software sites instead of waiting for response. We don't condone or reward abusive behaviour towards our team and it won't be tolerated. For the record, we have honoured your request and credited the costs you incurred, as a sign of good will and nothing more. We did this not because we are responsible for your content but because it was an acknowledgement of your frustration with your customer service experience. Despite what you may feel, we take customer service seriously and we respect and appreciate the fact that you have chosen to use Rezgo. We don't force businesses to use our system and we don't claim that it is the best fit for everyone. If Rezgo is not a good fit for your business, you are certainly welcome to use a system that better suits your needs. Comments: I have started using Rezgo about a month ago. I found them when researching cheap ticketing solutions for tour operators. So far it was the most cost-worthy solution, as Rezgo only charges per booking and has no monthly fees. That's perfect for small businesses like mine. I could easily integrate the booking software into my website. They also offered customisation, which I would usually need a web developer for. I also like that they offer a direct booking option with a Facebook App. However I would appreciate an iOS and Android app for the booking management and/or one to use for me as tour operator to list in the store. What's great though is the ticketing system that creates mobile and print versions of the booking ticket. Those can be easily checked in with a QR code scanner. I also created some promo codes that are really easy to maintain in the system. They can be limited and easily created and deleted. The customer support is really great too and usually replied within a couple of hours. The agents were really friendly and offered solutions to my problems with Rezgo or promised to keep an eye on them. One thing that is a slight problem however, is that the payment methods offered are not updated. The ones given in my country (Ukraine) are out of date and when requesting those at those partners, I got a negative reply that they don't operate here. I would wish for a better integration of other payment methods, like Payoneer, that is the easiest available in Ukraine. 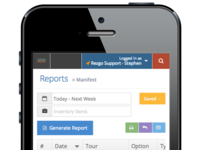 All together Rezgo helped me focus on my business instead of wasting time with software. Will gladly recommend it! Best in the business and really the 'only' way to go is REZGO! Comments: - REZGO is not an just another product in a 'box', or application you simply download- it's getting a 'complete company's team of experts' on your side to help you sell your tours/activities online. Even-though the REZGO applications & booking reservation system is revolutionary, easy to use and extremely innovative- it's the 'people' behind and 'in-charge' or REZGO that make it the BEST system to sell your tours and activities online! From the beginning of your rezgo 'sign-up' you will receive a welcome message from the CEO, Stephen- and an invitation to all their support forums and contact details to their support team! They will help with what ever they can, and there is no 'support fees', no confusing introductory, basic or priority support pricing plans or not even any monthly subscription/support fees! The amazing SUPPORT makes you feel like valued customer, and that REZGO is not out to make a quick buck, but to help your company grow and reach it's goals! Pros: I really like the layout of the website. Most of the website is clearly marked so there won't be too much confusion. Cons: Even though the over all layout seems pretty thought out, I don't like the home page that much. After the last update, I found it somewhat difficult when it came to looking for the Bookings of the day. Cons: Does not have multi day booking capability which is so frustrating! Having that main feature for a tour operator so people can book multi days is a must have feature... can not believe that that feature is not standard. Would hope in the future that they add it as with any good software company you strive to improve your product.. e.g. Apple and Microsoft. Overall: The one benefit is that I will be sourcing someone to create a similar product but with multi day capabilities. Thanks for the review Lisa. We certainly appreciate your feedback. As we mentioned to you in several email messages and support chats, the functionality you are looking for is not supported in Rezgo and we don't plan on adding it. Rezgo is ideally suited for day activities, excursions, and tours not complex custom built multi-day trips. I'm sorry we were unable to clearly articulate this to you in our many messages back and forth. In either case, I hope you find a solution that works for you! Great for an instant start-up! Comments: I am a tour service provider, who is not based in the US and therefore the initial stand-out appeal of Rezgo was the fact that I did not need to have a US-based bank account to get started. This is one of the few tour-operator specialists that offers this. Importantly, they more than deliver on all their actual product features, as well! Their customer support is OUTSTANDING. Whenever I had a question, I simply called or emailed and got a VERY fast turn around on a response from their support team. This is crucial when setting up because you don't have time to lose in getting your website launched. Several times Rezgo support included advice via Skype so I could implement some step-by-step procedures in real-time. Like I said OUTSTANDING! Their articles are also very very clear to understand and professional. I am not an HTML-code savvy person, so Rezgo branded their interface (the one my clients see when they opt to book online) to match my website....font, logo, background, all in sync with my company guidelines. This means my customers don't doubt who they are booking with when it comes to payment and meets my marketing strategy requirements. A highly recommended, professional team who know what the tour business is and have specially developed a booking service for our industry! Love it. Thank you Laura. I am glad we could be of help. Please don't hesitate to let us know if you need anything. Pros: The look of the system on my website is superb and whilst it's new and I'm still tweaking, it seems to have a lot of flexibility built into the system. What's even better is that the staff act immediately on receiving an email and work closely with me (client) to guide us to the best way to use the system. Cons: There was a very minor bug when my webmaster installed the system into our Wordpress site - but Rezgo tech people worked overnight to ensure it was working a.s.a.p. Overall: As someone with little technical expertise - and running a very small kayak tour business - the service I have received from Rezgo in setting up my online booking system was incredible. Never would I normally expect a lengthy phone call guiding me through the whole process from overseas. Amazing service. Recommendations to other buyers: This booking system seems to fit the bill for a tour company like mine - so now I'm going to sit back and wait for bookings! Having used other software before, this one is, by far, the easiest to thandle when starting. Pros: First , the support so far has been quick, concise, accurate and led to progres severy time I contacted them. I have set up the site in one week( between tours) when it took me three months with others which I have tried. Second, the tours are easy to build, the set up is intuitive and if it were not for my lack of experience, I woud have done it even faster. Third, the few issues and questions I had were resolved within 24 hours and the instructions are clear. Fourth , the look of the listings is really good and engaging, very close to my main site, and very clear for customers. The tickets and receipts are simple and complete. It gives confidence to travelers which are becoming more and more demanding. Overall: Quick set up of tour listings and very good support so far. 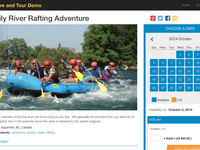 Pros: Ease of use, fully integrated system for marketing and selling tours. Overall: We've been developing our blog about tours and activities in Hawaii for about eight months now. I've tried a few different combinations of booking and e-commerce plugins for our Wordpress site, but most were not functional. Other solutions required an upfront investment, but I wasn't confident that they would do everything I need them to. Our clients need to be able to from book a tour on a particular date, choose from adult and child rates, purchase add-ons like transportation, and pay for their activities easily. 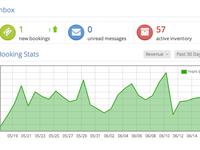 On the back-end, we need automated emails and tracking of all our sales. Rezgo provides all of this. I was a little hesitant to go with a commission based platform, but I realized that with this model Rezgo has an incentive to help me succeed. The complimentary co-branding really helps to provide consistency between my site and my Rezgo site. Pros: I like how the trips are set up as Inventory Items within which you can have different options which in turn you can customize to your hearts content. As a very small provider of tours, the fact that I can integrate such a powerful online booking system to my own website.. and take advantage of the huge network of outlets being created by Rezgo and the fact that I only pay-as-I-go via a very reasonable commission rate on bookings made is to me priceless as cashflow for a small operator such as I am is a major issue. On top of that, the complimentary co-branding service they offer whereby they match the look of your own website to their booking pages is fantastic... and delivery of which was done in just a few days. Cons: In all honesty I havent used the system yet for a long enough period of time to have uncovered any pet peeves.. time will tell but so far I have no complaints whatsoever. Overall: Took me a little while to get my head around the way in which the system works but then again I'm not the most web-savvy techy minded of people.. but.. with the help of the team at Rezgo and referencing their online tutorials I was able to get up and running on their system in no time at all. Set up my tours.. linked my website to the Rezgo booking pages.. and within a week of asking Rezgo had co-branded my booking pages to match my website.. fab..! Pros: I love the fact that you can sign up for free and pay per reservation. The promocode section is great and the overall tool is pretty easy to use. The big plus for me was the fact that they customize you rezgo engine to match your existing profile FREE! I love it. Cons: It is not built to accept hotel type reservations. It would be cool if the % on each booking was a bit cheaper. Recommendations to other buyers: For start up travel agent and tour operator this is your tool. Pros: The thing I liked most is the way it integrates so easily and seamlessly into my website. Very simple to add multiple tours and other variables. Merchant account API was a breeze to set up considering I do not have an IT background. Overall: I have no experience in the technical aspects of creating a website particularly a booking engine. I spent months comparing the different providers out there and settled on Rezgo. I like the comprehensive help information provided under their resource section and I called a few times before becoming a client and got quick answers to my questions. Comments: Thanks to Rezgo for good reservation system, our company running adventures tours in India , India country is Incredible very attractive for the tourist but not attractive for the business, it can be very hard to manage the small things : guides, transport, hotel bookings, employees .... in past we taking bookings true e-mail what it cost us loosing so many costumers as we cannot afford to replay on time plus the time difference in world, as our clients from any country. So now i don't need to wary as can be done in few minutes wit rezgo booking system , plus we only pay for successful booking and we don't have to pay and save on high monthly fees from other booking systems . Thank you Mangirdas. We try to do our best. All the best and let us know if there is anything we can do to help. Pros: Easy to use and great customer support service and overall a good system to use. Thank you for the review Sam. We would love to have a plugin for WIX as well, but unfortunately WIX did not allow us to have an app. We're looking at some other options and we'll keep you posted. Comments: I have used the Rezgo Booking Software for the past year and find that it is one of the best out there. I work in the IT industry hosting, webdesign etc. To be given the ability to change CSS and Html is a must and Rezgo have hit the nail on the head so to speak. We have worked with Rezgo on major projects the we have running here in Ireland and they have delivered. Every request for information and changes was answered promptly and believe me some of our requests where not small. I Have given Rezgo a 5 stars rating because of the ease of use and customer support provided. Thank you Francis. We really appreciate your feedback. When we do a major release, we often only here about the things that have gone wrong. It is so nice to hear about the things that have we done well. All the best! Pros: Easy to set up your tours. The ability to adjust pricing for different time periods. The customisation for your website offered by rezgo. Cons: Customization does not extend to mobile responsive site. Can have people pay deposit but no follow up for full amount meaning you need to use other payment methods. Cons: commission charge seems a bit high for direct reservations and through OTA's. Everything else is great about rezgo, highly recommended. Awesome service and very easy to use! Overall: The shop itself is very, very easy to use, and the products can be added quickly and without too much hassle. The support is great, I got an adjustment on the template to fit my own website and it looked perfect. Good job guys! Recommendations to other buyers: Yes, I thin you guys should make your own fully responsive Wordpress theme for tour companies. Pros: Funcionality is perfect for the tour and activity business. Overall: Very Happy with my experience launching my activity business with Rezgo. From sign-up to the integration into our website, Rezgo has provided very strong support. It began with some great automated emails/blogs about different aspects of their system. When I had questions about features and processes their customer support was very responsive and helpful. The Rezgo engine is very robust with a ton of functionality that I have yet to explore, but the process of setting-up some initial, simple tours, was very intuitive and easy. Comments: We researched many booking platforms before deciding that Rezgo was the best solution for us. The customer service has been excellent and we're excited to have so many features available without having to purchase an expensive 'gold' package, like other services offer. Vayando connects curious travelers with micro-entrepreneurs all over the world, so it's important to have a robust and easily-managed booking platform, which we've found in Rezgo. Thanks for the feedback Scott. We certainly appreciate the positive words. If you need anything, don't hesitate to let us know. ...and most of all, IT JUST WORKS! 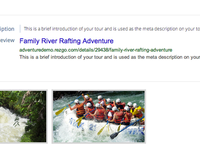 Comments: We are in our third year of business at SoCal Rafting and our third year with Rezgo. 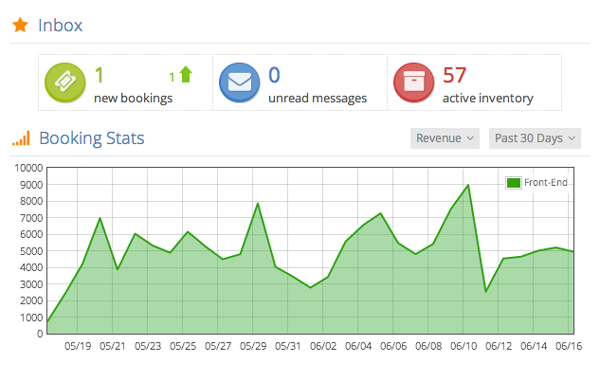 Business is up 300% this year over last, and thanks to the booking rules and inventory sharing we are growing smoothly. I can't tell you how important it is to be able to call and reach live support immediately if there is a problem or I make a mistake. These guys are here for us when we need them. But most of all, their system just works. Once everything is set up it doesn't break down. It just works and lets me spend my time on more important things. Such amazing helpful people & fantastic booking system! Comments: From the start it has been a simple process to set up our booking pages with Rezgo. The back end system is simple to use and easy to make changes to. The finished page looks very professional, and we are very pleased with it. But most of all the customer service is outstanding. Every question we had, big or small, was answered and action upon on very quickly. I would recommend this company to anyone who is setting up a website that involves booking tours as our experience with them has been fantastic! Quick and Easy Setup for Custom Microsites! Pros: Very easy to get up and running, nice customization options and intuitive user interface-front and back end. Cons: High per transaction costs-this is tough for us when competing with so many other online booking systems; margins are thin and this makes it hard to stay competitive in pricing. Overall: We needed a system that allowed us to quickly setup sites for specific clients to book activities and manage payment securely. This also needed to allow us to manage blocks and inventory. We are now able to respond much faster to client requests with a polished, professional site. Comments: After endless searching for software that could give us all the features we needed, we were happy to find Rezgo. The software is easy to use, especially for someone who is not very tech savvy. We also are impressed with the excellent customer service. We called a few time with questions and they were answered right away and solutions were explained patiently. We love the professional look of our site and the great service! Comments: Even for a someone who is not a web or page designer, Rezgo makes it easy for me, after one year we are extremely happy with the support offered and the simplicity to use. creating new tours for our business has been a breeze. Pros: Easy to learn and use, our site is going to Word Press config. and we can't wait to update with Rezgo's WP booking engine. We are booking tours 24/7, a big bump in our tour revenue. Comments: I love using the Rezgo program. We use it to sell our show tickets. It makes it easy for vendors to connect with us and for us to connect with other vendors. Loading products is very easy and making changes is also very simple. The system looks great to our customers and our vendors love using it as well. Pros: Easy to load products. Easy to schedule tours/dates. Easy to limit inventory and create rules for sales and specials. Comments: We are just getting started with this system and so far everything has been great! Setting up the trips we do was a bit complicated, but once we talked to customer support we realized some better ways to accomplish our goals and setting everything up just right. I think this will ease the headache that is selling trips by the seat, Time will tell. Comments: We set up Rezgo for our snorkel business in Hawaii. After short tutorial from their representative and some trial and error we have everything running smoothly. There are a few quirks to learn about the software but absolutely nothing too complicated. After a little practice the system is easy and perfect for what we're doing. Comments: The team at Rezgo was quick, personable and helpful! They responded to me quickly, asked the right questions and got the job done! Thank you for your feedback Kristin. We try our best. Don't hesitate to let us know if there is anything we can do for you. Comments: I needed to co-brand my rezgo website with my company colours but I could not do it myself. I contacted rezgo support center and it was done for me within 24 hours. Now I have my company logo and footer information on my rezgo website. Thank you for the review Federico. We will keep doing our best to make the system better for you. Comments: Very happy with the Co-Branding that Rezgo team just implemented into our booking. The booking has the feel and look of our website. Good job. Thank you Jan. We really appreciate the review. Comments: This software is so easy to use and everything is laid out very clearly. Very good way to get your bookings on line and credit card payments quick and easy ! Comments: Pros : , Convenient easy to set up the tours, quick and cheap comparing with another booking on line services. Cons: The design is simple and basic and the colors and typography are pretty rude, take time to understand how it works, slow customer service. The service is convenient and works perfectly. Pros: The SEO for google. Overall: We are very happy to develop the Rezgo booking software in our website. It has given us the possibility to offer our products in a friendly and seamless way and has opened our options to take the company to new horizons. Recommendations to other buyers: alternatives to customize the system without the html codes.